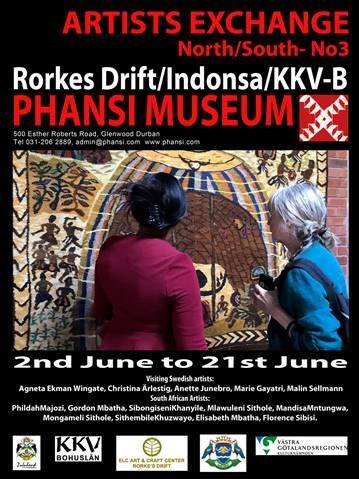 The opening of the Rorke’s Drift Exhibition Exchange featuring Swedish and local artists takes place at Phansi Museum on June 2, 2018. This is a selling exhibition featuring ceramics, textiles, carpets, and wax crayon paintings. Phansi Museum is situated at 500 Esther Roberts Road, Glenwood, in Durban.